Polyester shoulder/document bag with subtle coloured trim. Equipped with ~ spacious main compartment ~ mesh pocket ~ flap with velcro fastener ~ adjustable shoulder strap. 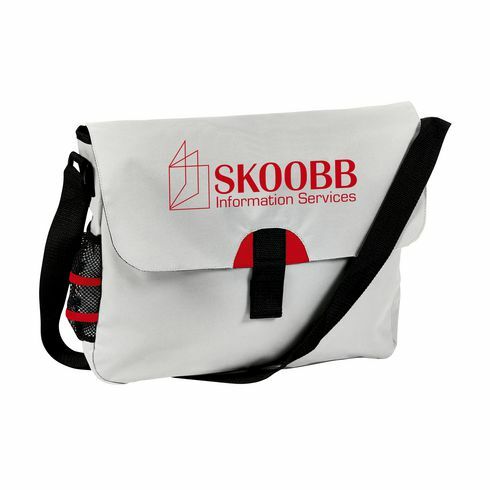 Ideal for carrying A4 sized documents and folders.